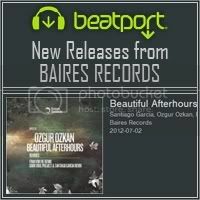 [BAIRES012] ''Ozgur Ozkan - Beautiful Afterhours'' Out Now!!! 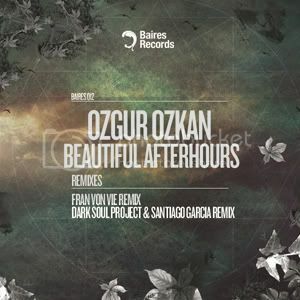 Thread: [BAIRES012] ''Ozgur Ozkan - Beautiful Afterhours'' Out Now!!! In our release Number 12 on Baires Records, we are glad to introduce you a new artist on the label. Well knowledge as his great melodies, this super producer is ready to show us more of his talent. "Ozgur Ozkan" is one of the best progressive artists, and we are really proud to release this track with two high quality remixes. Were you will find a trippy, intelligent progressive music by the hand of "Fran Von Vie" and another bombvertion with a lot groove and some aggressive percussions by the owners of the Baires Records, "Dark Soul Project & Santiago Garcia" that now a day they are working on a new project together called "Mindlook" as duo. Release Date: July 02 2012 exclusively at Beatport!! !